Vendita birre Boelens, shop online, prezzi - Grand Cru s.n.c. di Aprile Paolo &C.
The family Boelens, whose brewery is based in the village of Belsele, has been brewing beer since the mid 1800’s, in the Waasland region of Belgium. This is the agricultural area southwest of Antwerp, on the west side of the Scheld River. Contrary to what one would expect, the beer is not really sweet or syrupy, and has even called a bitter aftertaste. This gives the beer a creamy and almost sweet character. 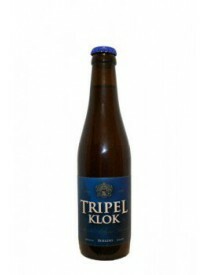 Tripel che sprigiona aromi di lievito dai sentori floreali, gusto deciso, corposo dal dolce sapore di malto con note di miele.